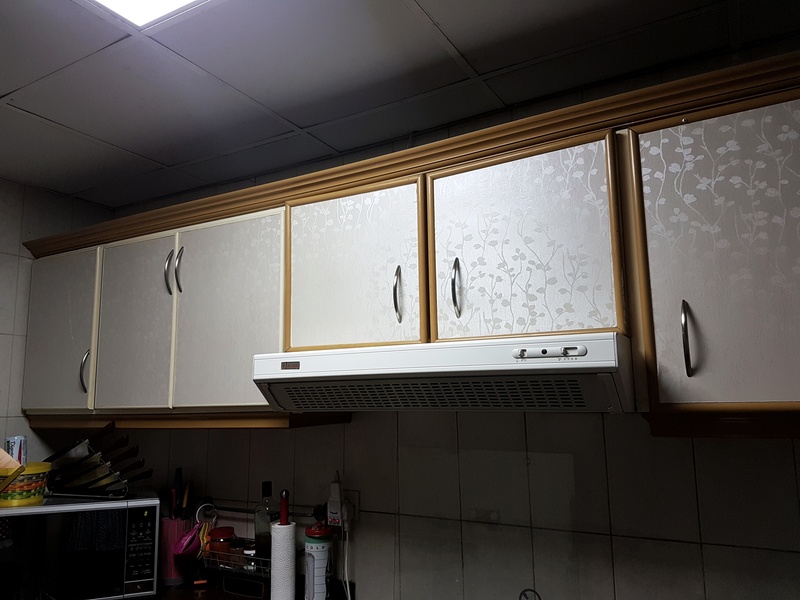 Today I want to show you guys something very simple I did to help a little bit my kitchen’s appearance. Hubby and I are crazy to move from the apartment we live now. 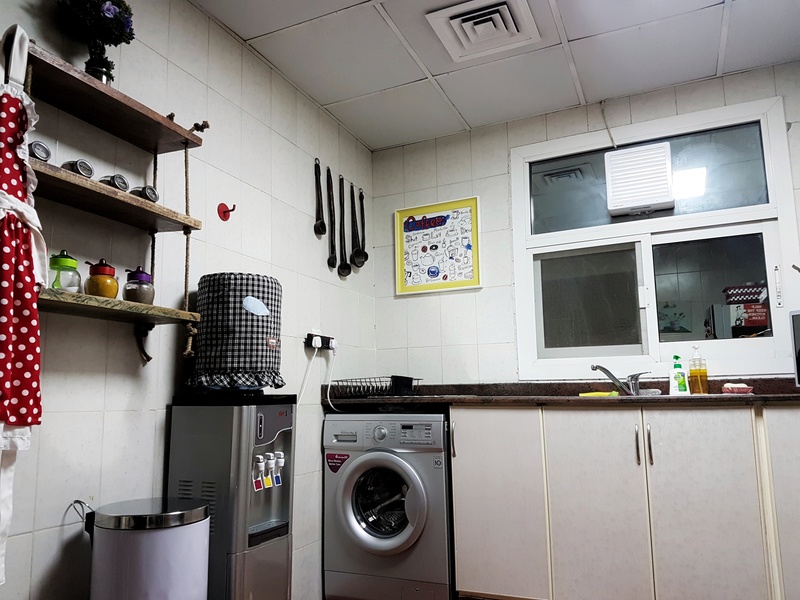 Even though the rent/space is awesome, the maintenance and cleaniness is HORRIBLE. We spent so much of our own money painting, repairing and changing taps, showers, wall fillers, chandeliers… But the building doesn’t stop giving problems. When renting they promised to fix EVERYTHING. All lies. The kitchen is so ugly! HAHAHAHAHA. Chipped floor, cabinets with different frame colors, rusted ceiling… I just couldn’t cope with it anymore. Even knowing that in about a month we will move out, we decided to do something inexpensive, but that would make things a little better. Hubby and I bought new handles and stickers to put on the cabinets doors!! I chose a light color, because I believe it created a contrast with the floor color. Plus it would also diminish the difference of the frame colors. I didn’t chose any specific brand of the sticker, and I know you can find it at stationaries, Ace, even stores with construction/decorating supplies and even online! I measured all the doors so I knew exactly how many meters/square of stickers I needed to buy. Since the the material I chose wasn’t a really rubberish one, it already had air lines on its own just by unrolling it. These wrinkles made the application way more complicated than it normally would. So I used a cloth and a thin needle to remove the air caught up bettweent the door and the adhesive. Just poke the bubble with the needle and even it out with a dry cloth. The end result really pleased me. It off course wasn’t a miracle, but made it look so much better. It was so cheap to get it done that I decided to share this tip with all of you. If you got bored of your kitchen and want to redecorate it, the adhesives are such a nice solution! true! if I had the space I would do that too.